» Forum » Parts manufacturers » New parts announcements » Wizard Hardtops now available for order! 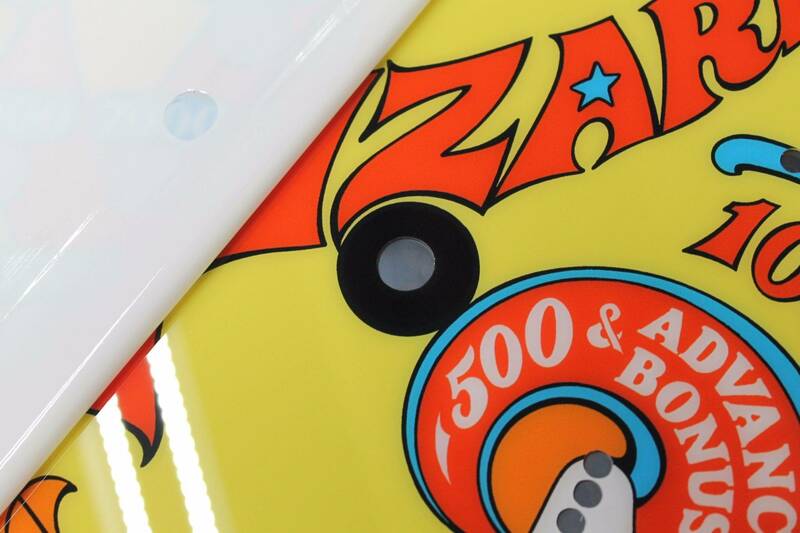 » Wizard Hardtops now available for order! Wizard Hardtops now available for order! We are proud to announce that the Wizard Hardtop is ready. They can be ordered @ www.pinballgifts.com ... Here is a photo from Andy that prototyped the Hardtop for us. Well done Andy! Stay tuned also for a thread that will be posted soon for all installation questions. A video from our infamous.... famous Skypilot will be posted there soon regarding the "great star rollover" installation process. As always, he has done a great job with his descriptions and video. Hm....will be interested to see how many people manage to get these perfectly aligned..since I'll be needing to do the same on Future Spa. At least it's not a complicated process, but I really don't want any ball hop going around the loop where the rollovers are on FS. So let me see if I understand. The 8 star rollovers on Wizard are different from the star rollovers that can be carefully punched out from the bottom with the assistance of a heat gun. If the above process is required is there a dremel tool that has a depth stop. I seem to remember seeing one. I'm not understanding the question. You are removing both parts of the roll over. 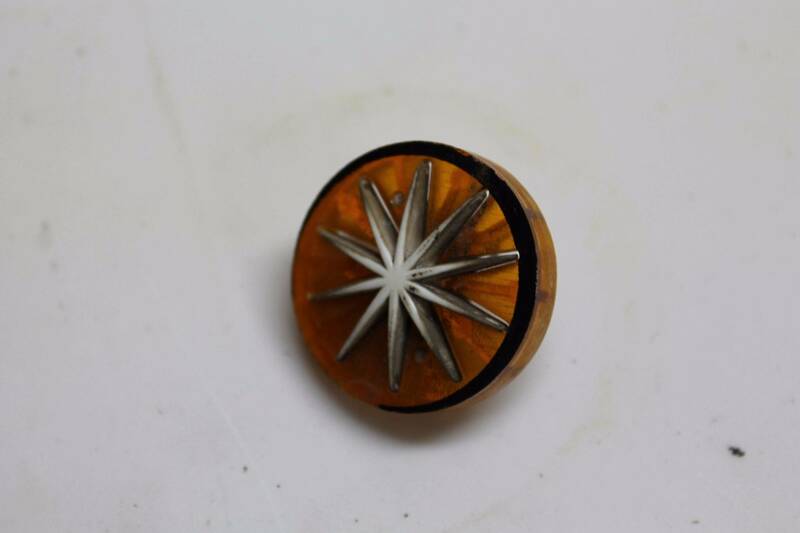 The star and the round disc together. I think he's confused in that it appears you're only removing plastic from the hardtop, and he seems to be thinking there's some risk to doing it by hand like your video. Also, AFAIK, theses aren't any different than rollovers in any other game with star insert rollovers. The only way around having to do this would be to have them be laser or die cut in production, but that might cause alignment issues, as playfields are never truly identical. 4. Insert and glue the star insert, making sure it's flush with the top of the hardtop. My dremel DOES have a depth guide/cutting kit..whatever. Looks like a cone. I suppose if you're paranoid about slipping it would work but I'd be afraid it'd leave a bunch of scratches sliding across the top. Doesn't seem necessary. Just go slow and be careful, and clean up carefully. I get it now. All 5 of my Wizards are in a different location so I was unable to look at a playfield. I thought the black section that you show being removed was part of the original playfield. I didn't remember it that way but, my memory can be bad sometimes. I see why they did the star rollovers this way. It provides a little bit of leeway when installing the hardtop. As long as you line up all the other holes the star rollovers should be OK. Thanks for the clarification Frax. Putting the steps in order 1-4 made the bell go off. Ding "I get it" I looked at the video several times and I can't see that black area very well on the laptop. Not well enough to see that was part of the hardtop I was looking at. Looks like I need to check into some new glass. Thanks for the video as well Skypilot. Very helpful. All 5 of my Wizards are in a different location so I was unable to look at a playfield. When 4 Wizards clearly isn't enough Wizards. I thought the black section that you show being removed was part of the original playfield. Just so you know that playfield was the prototype that Andy installed in one of his Wizards. We gave feedback back to Bruce on the "black on the roll-over areas. We asked him to remove the black an just fill in with the surrounding color, The reason being if there is any offset the black lines will lock uneven and horrible. Thanks for the video as well Skypilot. Very helpful. I got all 5 Wizards at a auction in South Carolina several years ago. A very large operator had to get rid of almost 1000 pins and about the same number of video games, jukeboxes, pool tables and other coin-op equipment. The fire marshal said the large number of wooden games was a fire hazard. The tobacco warehouse where the games were stored was also made out of wood. If I remember right the auction had about 20 Wizards. Not all of them sold even though they where in good condition. My average price per Wizard was $280. I also picked up about 30 other pinballs that day. I think that was the largest number of pins I picked up in one day. Love the good old days. I will be selling 4 of the Wizards when I get a chance to overhaul them. Not sure at this point if I will put hardtops on all of them. Has anyone put a hardtop on a Taxi? If so how well did everything line up/fit etc? I suppose if the inserts were previously installed with super glue or epoxy this might be the way to remove them, but it looks risky to me. What's wrong with using a heat gun to soften the glue & push out from the bottom? If you slip with the Dremel you have created a mess to repair. I'm not sure you understand the video. The entire roll overs are removed before the Hardtop is applied. 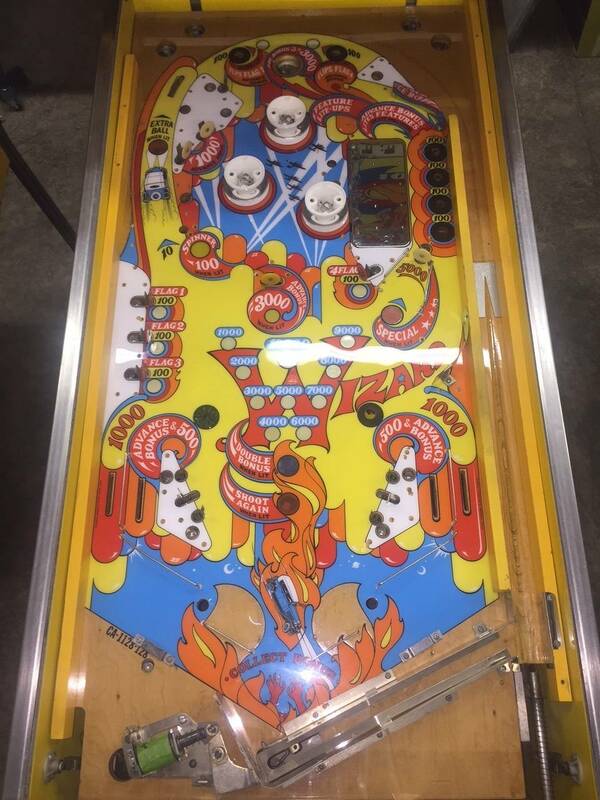 Once you have sanded the playfield around all the colored inserts and addressed any exposed wood areas that will be later seen(such as the shooter lane) You will apply the Hardtop. In the case of a game such as Wizard it will look like the picture below. IMG_0938 (resized).JPGNotice the hole under the Z. Although the hole has black around it(The black will not be present on the tops you would receive) The hole is much smaller than the diameter of a roll over.This is the poly-carbonate we were removing in the video.We sanded the material back to the 1 1/4" hole underneath so the roll over could be reinstalled. Sorry, my bad, I was thinking this was a playfield protector, I see where you are coming from now. Great product as far as I can tell, hope to see many more titles in the future! I think what you guys are doing is great!!! My Wizard is in great shape but need one of these new tops for Captain Fantastic hopefully you guys will make these someday?